Tinyard Enterprise Co.,Limited is one of the top level China 4-side-seal wet wipe machine manufacturers and suppliers, welcome to wholesale 4-side-seal wet wipe machine from our factory. 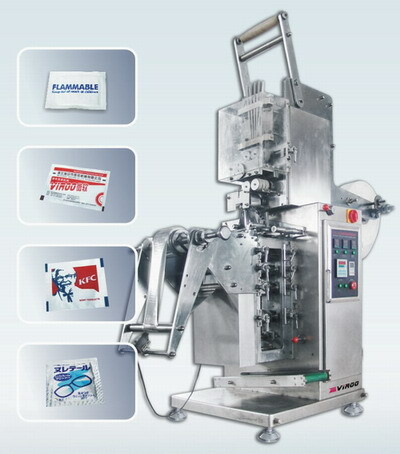 VPD128 Vertical Wet wipe machine is widely applied to pack four-side sealing packages,such as wet wipes packing, tissue paper packing, disposal napkin packing and sterile gauze packing etc.It incorporates a cross deviation correction device with two degrees of freedom and intelligent longitudinal photoelectric trademark positioning system. It can automatic finish the whole process including folding, cutting and filling of tissue, bag making, liquid-dripping, printing of produce date, preset counting and finish bags output. The finished bags are four sides sealing..
3. Bag-size is adjustable according to the customer special request. 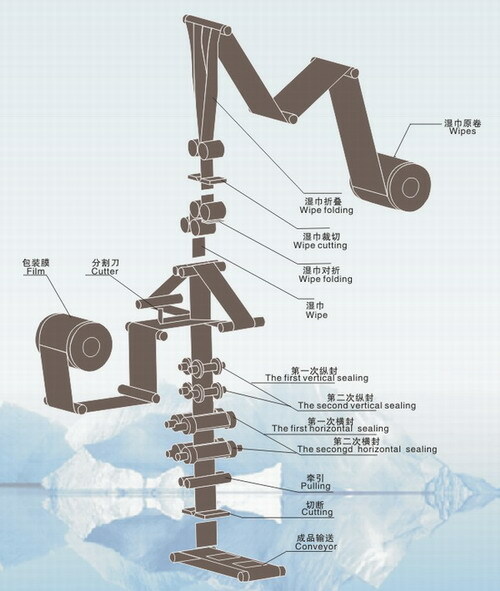 Wrapping material: PP, PE, laminated film, aluminum foil film, paper film, etc.